AMD is giving final touches to its Radeon RX 590 graphics card, which is rumored to be based on an efficient new rendition of the “Polaris” silicon, which could disturb NVIDIA’s product lineup between the GTX 1060 series and the GTX 1070, as its new RTX 2060 series is nowhere in sight. In a bid to thwart this threat, NVIDIA is preparing a variant of the GeForce GTX 1060 with faster GDDR5X memory. The current GTX 1060 6 GB is endowed with 8 Gbps GDDR5 memory, which at its 192-bit bus width works out to a memory bandwidth of 192 GB/s. 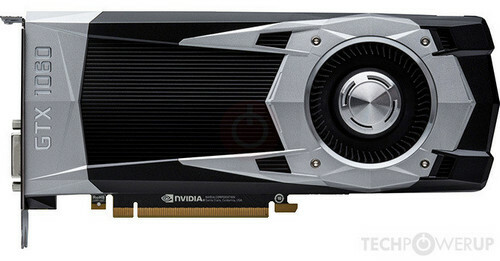 NVIDIA had attempted to improve its competitive position once, by creating a shortlived sub-variant of this SKU with 9 Gbps GDDR5 memory (211 GB/s). Switching to 10 Gbps GDDR5X memory would give the chip 240 GB/s memory bandwidth, and 11 Gbps (unlikely because expensive), would yield 264 GB/s. With the GP106 silicon maxed out, it’s also possible the new GTX 1060 could be based on a heavily cut down GP104, possibly even with 192-bit memory, which explains GDDR5X memory.